Since his concert debut at the age of 6, Celil Refik Kaya has received high promised repetitions and accolades for his myriad accomplishments at an early age. Kaya is the youngest First Prize winner in the 2012 JoAnn Falletta International Guitar Concerto Competition with the Buffalo Philharmonic; one of two three-time prizewinner of the Guitar Foundation of America International Guitar Competition, prizewinner of international guitar competitions including Sofia Bulgaria, Naxos Greece, Vienna, Istanbul, and throughout the United States, highlighted award winner in the Indiana International Guitar Competition, Boston Guitar Competition, Texas International Guitar Competition, Schadt String Competition, Philadelphia Guitar Competition, and Texas International Guitar Competition. In May of 2017 he was awarded “Rising Young Musician of the Year” by the Donizettti Music Classical Awards in Istanbul. Mr. Kaya’s first recording, Jorge Morel Guitar Music has been critically acclaimed by American Record Guide as ‘just perfect—he doesn’t try to make the music more than it is, but he does realize the real heart in these pieces.' Mr. Kaya has been invited for more projects to record for Naxos Music Label. Mr. Kaya appears as a soloist and international artist touring around the United States and Turkey. As a concert soloist, he has collaborated with professional orchestras such as the Buffalo Philharmonic, Virginia Symphony, Presidential Symphony Orchestra in Turkey, Istanbul State Symphony, Hilton Head Symphony, Brevard Festival Orchestra, Lake Placid Sinfonietta, Bilkent Symphony and many others and has gained his great artistic recognition internationally. He has also conducted many masterclasses in music festivals and universities throughout the United States and Turkey. Mr. Kaya has presented the premieres of concertos by Roberto Sierra (Buffalo Philharmonic Orchestra), Derwyn Holder (New Jersey Baroque Orchestra), Leonard Handler, and Suleyman Alnitemiz (Istanbul State Symphony). As a performer Mr. Kaya works closely with our generation’s great composers including Lowell Liebermann, Jorge Morel, and Roberto Sierra, among many others. Born in Istanbul, Turkey, Mr. Kaya began his interest in classical guitar at the age of six with his father, Dr. Mehmet Refik Kaya. Early primary instructors included generation-influenced educators such as Yusuf Doğan Büyüköğüt, Raffi Arslanyan, Soner Egesel. When he was 19, Kaya earned his Bachelor Degree of Music from the Mimar Sinan Fine Arts University State Conservatory with the Highest Honor Degree in Istanbul, and was granted the “Excellence” Scholarship from the Turkish Educational Foundation. During his Bachelor’s degree he studied composition with the famous Turkish composer Mehmet Nemutlu. Mr. Kaya expanded his worldwide notice throughout the time he pursued his Master Degree of music in New York City at Mannes College, The New School For Music. As a full-scholarship student, he has also received the Excellence in Performance Awards by the Mannes College the New School for Music. Mr. Kaya studied in the studio of Michael Newman as well as private studies with Grammy award-winning guitarist Sharon Isbin. During his master’s degree he studied composition, arrangement and transcription with renowned guitarist-composer Frederic Hand. Besides a concert soloist, Kaya is also known as an avid composer where he has more than 100 pieces including works for orchestra, solo guitar, violin, piano, string trio, duets and many others. His chamber and instrumental works were performed throughout United States, Turkey, South Korea and Sydney’s Opera House. His selected works were published by Les Productions d’Oz in Canada and FDPublications in the United States. 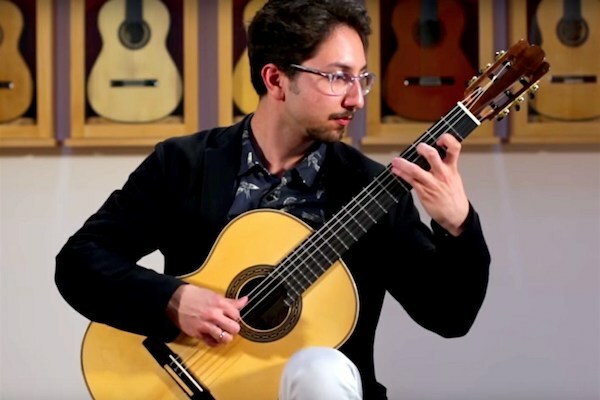 Celil Refik Kaya is only the third recipient of Harvard’s prestigious Dumbarton Oaks –Early Career Musician Fellowship as well as holding the Harrington Fellowship at The University of Texas at Austin under the study of renowned guitarist Adam Holzman.